In January, U.S. News & World Report ranked the DASH Diet as the #1 Best Overall Diet for 2012. 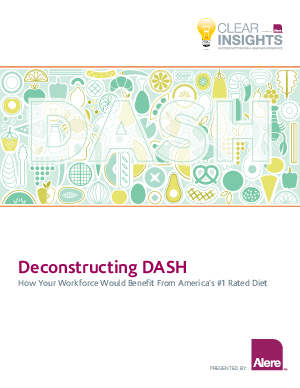 This white paper, based on a webinar presented by Dr. Robert F. Kushner, provides an overview of DASH, compares it to other top ranked diets, and offer insights into the evidence behind their design. The paper also discusses the keys to sustainable weight loss and best practices for employers to choose an effective worksite weight loss plan.